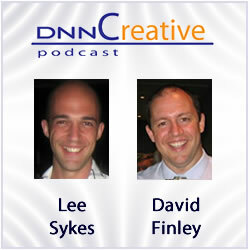 Welcome to issue 63 of DNN Creative Magazine. In this DotNetNuke training series we focus on how DotNetNuke can be used to enhance or create a business. To begin we provide video tutorials on Ecommerce and the Smith-Consulting Shopping Cart module. This module has all of the key features that you would expect from a store module, but it is also user friendly for setup and also usability for your customers. The module allows you to create unlimited products, sell downloadable or physical goods, provide custom shipping, credit card processing, discounts, affiliate tracking and more. Following this in the next set of video tutorials we demonstrate in detail the Advanced Login module by InteractiveWebs. This module features a Facebook connector, jQuery Popup, Skin Login and Region data import tool and allows you to customize the look and feel over the login and user registration process giving your DotNetNuke websites a professional user experience. To finish, in our podcast this month we discuss the ways that we have encountered using DotNetNuke to run or enhance the running of a business. From simple subscription based websites through to large scale websites with 3000 child portals and 38,000 employees sharing documents. We discuss how DotNetNuke can benefit your business with its built-in functionality as well as the DotNetNuke community and the resources from third party developers for custom modules. This issue comes complete with 13 videos.